I got up from the hospital bed, and waddled over to the bathroom, anxiously waiting to feel the tightening, the gripping of my belly again. It was then, while I glanced from the clock back to my belly that I noticed the color that was soaking the pad between my legs. I froze, shocked, the tingling of panic washing over my face. “I need the nurse!” Calling out to my husband, I was powerless to move. In that instant the 41 weeks that I had carried this tiny, sweet, little innocent life flashed before me and I knew she needed to be born. For most of my adult life, I’ve had one foot stuck in the “natural living” pond. It started with cloth diapering and breastfeeding and the more I read, the more I found myself going over to that side of things. From the food we eat to how we take care of our babies, it became clear that attachment parenting and natural living was what I identified with. Because of this, the one thing I didn’t want to be ok with was inducing labor. It just didn’t feel right to me. Labor should be a natural process and we should let it be a natural process. There are so many reasons why we shouldn’t induce. Starting with the health of the mother (over stimulating the uterus) to the health of the baby (too much pitocin can cause fetal distress) – induction just felt wrong. There are plenty of reasons to not induce labor. There came a point, however, that I realized that sometimes, there are reasons to induce. Sometimes, you have no choice. Sometimes, induction is the only right choice. Some of the reasons to induce include health problems in the mom. Sometimes moms develop pre-eclampsia. Sometimes babies have growth problems. There are reasons why people choose induction. What if everything is fine? What if the mom is healthy but what if the baby hasn’t come yet? One of the more controversial reasons to induce labor (in the natural living community) is a pregnancy going past 40 weeks. I realize that due dates are estimated dates of delivery. They are not a guarantee that the baby will be born exactly at 40 weeks. In fact, it is pretty unlikely your baby will be born on their due date. I’ve seen statistics that say anywhere from 3.3% to 5% of women give birth on their due date. Nevertheless, there is no guarantee that your baby will come on their anticipated day. So what happens when you go not just a day or two over – but an entire week over? How long is too long? Should you wait the full 42 weeks before doing anything? Should you not give a deadline at all? I’ve heard it said many times that “they’ll come when they are ready”. According to this article on aafp.org, “approximately 5-10 percent of pregnancies are post term.” Post term pregnancy is one that reaches 42 weeks. There is a risk with a post term pregnancy of “post maturity syndrome”. It is not often talked about but it does happen to some infants. This is where the placenta stops functioning at its best and the infant is denied enough nourishment and for some, oxygen. In this case the baby actually loses weight and can suffer other complications. Some of the signs of this problem are long finger nails and dry skin which may also be lose and peeling. The child may suffer from hypoglycemia at birth. They may also have meconium passing before birth, which can cause lung problems if inhaled prior to or at delivery. It dawned on me during our last pregnancy that most pregnant women accept that there is a great risk in delivering too early. A premature baby can suffer greatly and there is great risk to the life of the child the further away from the due date we get. However, in our society there is such a movement to go the other way with pregnancies that last beyond the typical 40 weeks. This culture that wants so much to avoid unnecessary intervention that we often fail to realize the risk we allow to our own children. This alone made me realize that what my own midwife told me I needed to trust. 10 days before my baby was born, she sat me down and told me the facts. She knew I didn’t want to be induced. She reassured me of my choices. She added that 41 weeks was as long as she was comfortable with waiting. I begrudgingly agreed. The dangers that can happen when you go a week past your due date are not new to me. Memories from my first pregnancy flood back: the fear of fetal distress. Meconium staining. Lowered heart rates. How quickly things can change. And in a blink there are 15 nurses in a room and one very frightened doctor. I vowed that if it came to it, if I made it to 41 weeks I would heed her warning and deliver. I would choose to induce labor at 41 weeks. I’m so thankful I did. My Little Mouse was born covered in green meconium, from head to toe. I cried as I held her tiny, precious body. 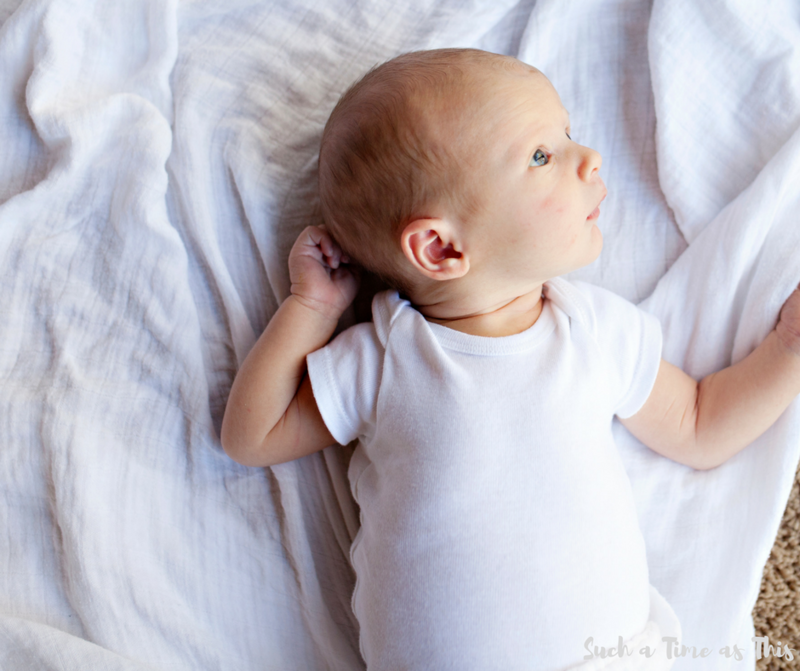 As she lay on my chest, I felt a rise of joy and relief as I gazed down at her beautiful face. My midwife calmly and quickly spoke. They would need to suction her out with the NICU nurse across the room. Thankfully, they were able to rid her of all traces of that green nightmare. I held her and cuddled her and nursed her to sleep in wee hours of that early Winter morning. I don’t share this personal story to make you fearful. I tell it to you to let you make a wise decision. So, where does that leave us? Are we forced to induce strapped to a bed being monitored for hours? Will it end in a c-section? Will we have the birth we desire? 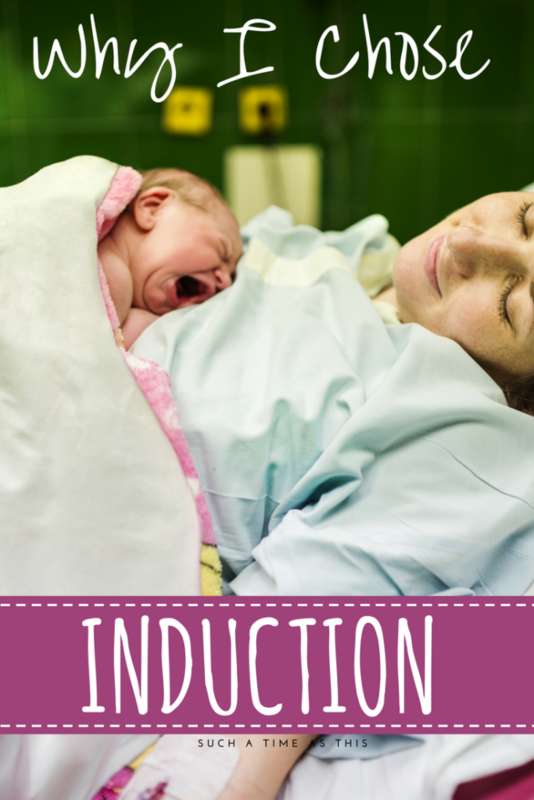 Find out the questions you need to ask and more about how doctors and midwives induce labor in our next post: Common Induction Methods & Questions to Ask Your Doctor.